We have assisted many couples, both parishioners and non-parishioners, with their marriage preparation. 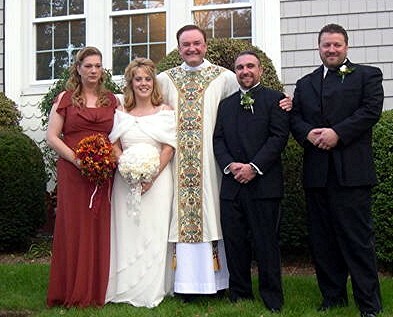 We do not have laborious requirements, however we do expect couples approaching for marriage to have had sufficient time to know and understand each other, are free to enter into the sacrament apart from divorce proceedings, and be of a mind to establish a Catholic family following the ceremony of the marriage itself. We offer the sacrament to those entering marriage for the first time, as well as those who have chosen to enter marriage again after the loss of a first spouse. As a National Catholic parish, we also offer the sacrament to those who are divorced and wanting to remarry, and for those who are not yet confirmed. Marriages between Catholics and non-Catholics are also allowed in this parish. 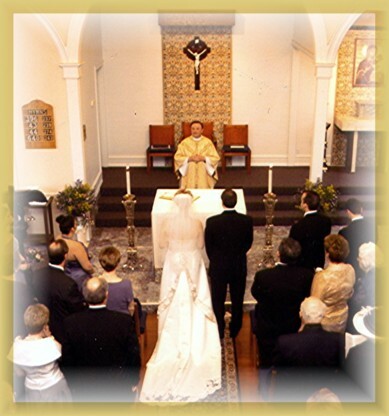 Please consider St. Patrick Catholic Church in your marriage planning. Your wedding ceremony may be celebrated at the church or, for your convenience, at a location of your choice.